Uber said it lost $3.03 billion in 2018 from operations. Uber Technologies has 91 million users, but growth is slowing and it may never make a profit, the lift-hailing company has said in its IPO filing. The document gave the first comprehensive financial picture of the decade-old company which was started after its founders struggled to get a taxi on a snowy night and has changed the way much of the world travels. But the disclosure also highlighted how far Uber remains from turning a profit. The company cautioned that it expects operating expenses to "increase significantly in the foreseeable future" and it "may not achieve profitability." This is up 33.8% from 2017, but growth slowed from 51% a year earlier. Although its user base includes customers of other services and ride-sharing, the number is nearly five times the 18.6 million announced by rival Lyft. Uber in 2018 had $11.3 billion revenue, up around 42% over 2017, but below the 106% growth the previous year. Reuters reported this week that Uber plans to sell around $10 billion worth of stock at a valuation of between $90 billion and $100 billion. Shares in its smaller rival closed at $61.01 last night, 15% below its IPO price set late last month, a development which has sent a chilling signal for other tech start-ups looking to go public. Last year, it settled a legal dispute over trade secrets with Alphabet's Waymo self-driving vehicle unit. Waymo, in its lawsuit, had said one of its former engineers who became chief of Uber's self-driving car project took with him thousands of confidential documents. The expert, installed as part of Uber's settlement with Waymo, has identified on an interim basis certain functions in Uber's autonomous vehicle software that "are problematic and other functions that are not," Uber said. A Waymo spokesperson said: "This review is on-going and we will continue to take the necessary steps to ensure our confidential information is not being used by Uber." One advantage Uber will likely seek to play up to investors is that it is the largest player in many of the markets in which it operates. 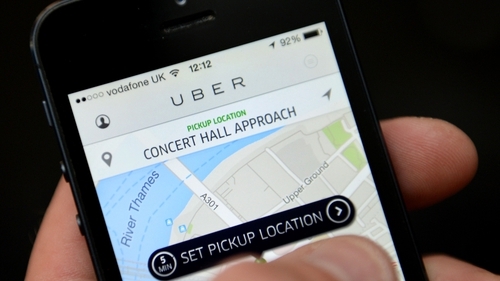 Analysts consider building scale crucial for Uber's business model to become profitable. Uber said in its filing its lift-hailing position in the US and Canada was "significantly impacted by adverse publicity events" and that its position in many markets has been threatened by discounts from other ride-hailing companies. The company claims more than 65% market share in the US and Canada, compared to Lyft's stated 39% in the US.